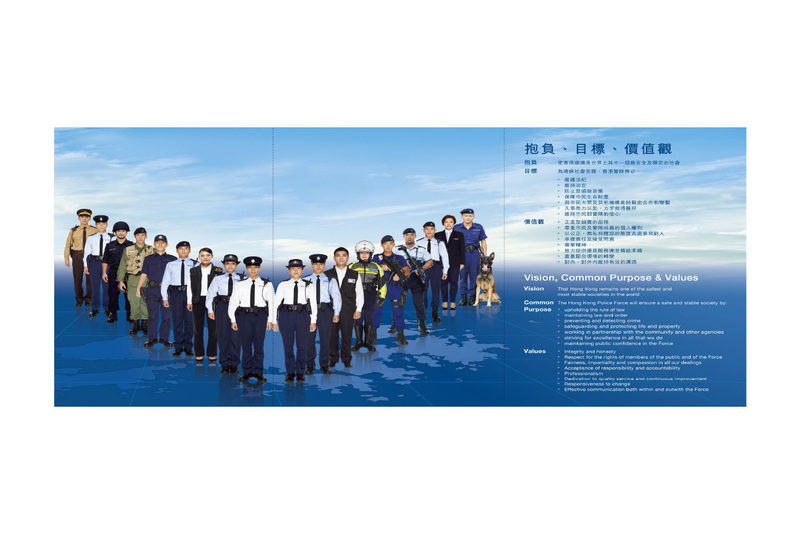 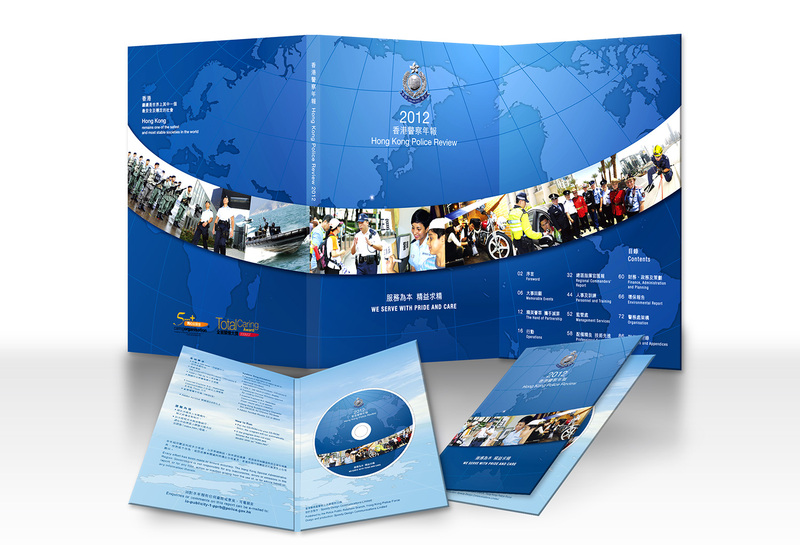 Speedy was appointed to design the annual report for the Hong Kong Police. 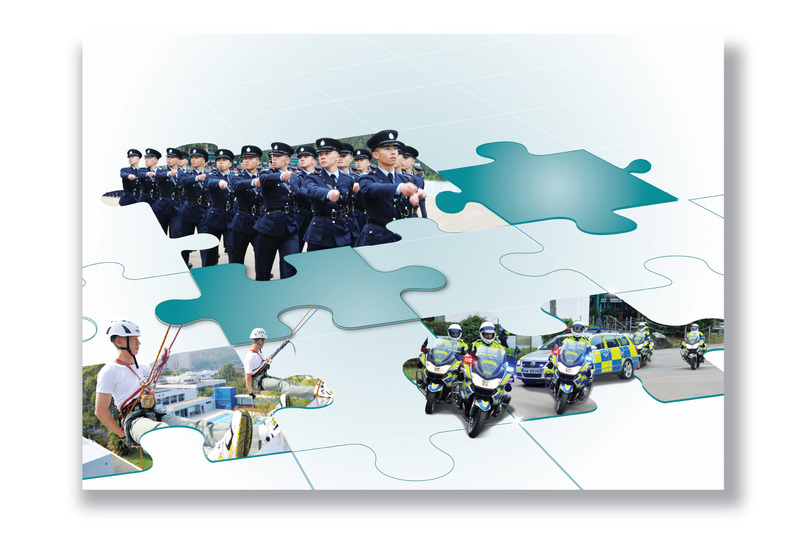 The objective of this book is to report to the public the work, accomplishments and challenge of the Police Force in the past year. 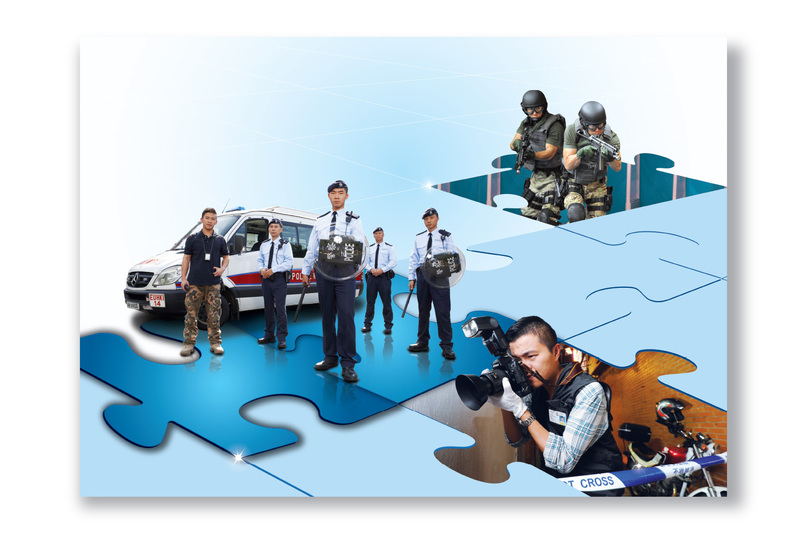 From award-winning initiatives on management, training to officers interacting with the public, we target to show quality services in everyday encounters. 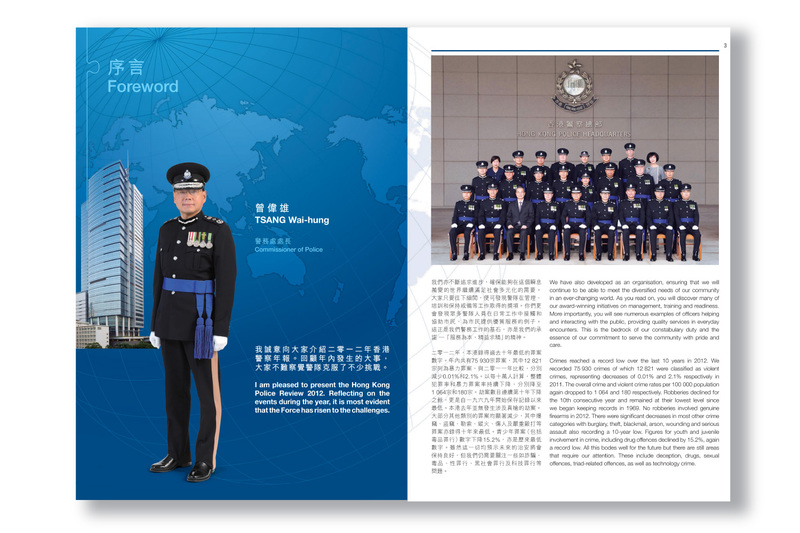 This design job involves a lot of selection and touching of images which shows not only the role and activities of this Force, but also their pledge to serve our community and Hong Kong with pride and care. 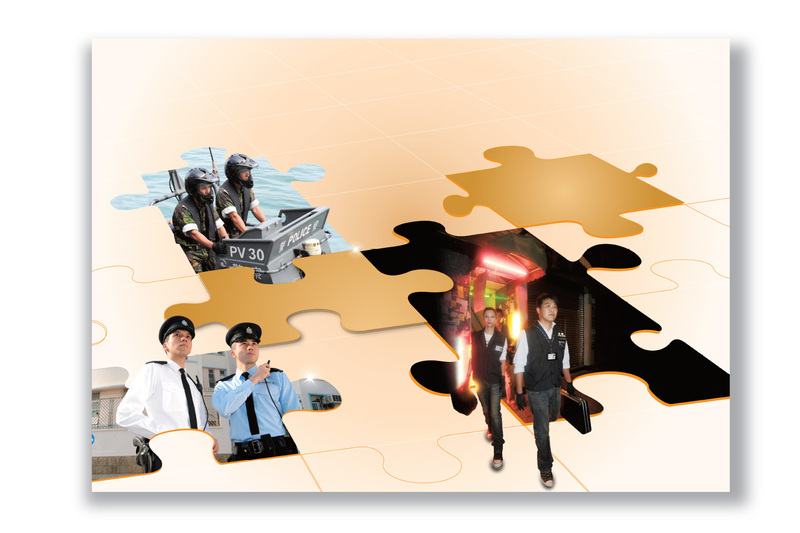 The design deliverables is highly received by our client.